Autonomous Machines – where are we today? Who may advance the most? We came a long way in the last 1 and 1/2 years since this amazing video from Maurice Conti was recorded. Artificial Intelligence made huge progress. The hardware however is actually much behind the hopes. Autonomous machines like robots lack the skills to move like humans or animals. Other autonomous machines like cars or ships still lack the all encompassing sensor technology to be truly safe. Autonomous earth bound autonomous machines like chat bots and game computing however show great evolution in their hardware technology. The software advances are more significant: AlphaGoZero was beating AlphaGo 100 to 0 – meaning the amazing AlphaGo program, which was beating the number one Go player in the world 4:1 was now beaten 100:0 by its next generation AM. The critical part of that story is that it was able to learn everything on its own. Chinese President Xi Jinpen announced his goal to be AI leader by 2030. German Economy & Science departments expressed their desire to make AI made in Germany a globally known quality brand for AI by 2030. Approximately 1.000 times as many regular people on the street became aware of a possible social shift in mankind. grander than anything we experienced or even imagined before. Fear however is spreading at almost alarming rate now – not a place we should be in. But it’s only indirectly the fear from machines. Deep inside our subconsciousness it is the fear of our own miss doing. Not our imperfection but doing things that are simply not right – and doing so in full awareness. Outside the technology and opportunity realm, we began to learn more from the AI development about ourselves than ever before. How important is technology for AI? In my work on that subject, I recently had an interesting thought. Mainly when I heard that the two vocal contender China and Germany longing for attention, I asked myself what they have to bring to the party. Today’s AI leader is clearly from California. But is technology really at the core of AI? Yes, we need powerful processors and lots of memory. But AI is no longer really about technology per see. 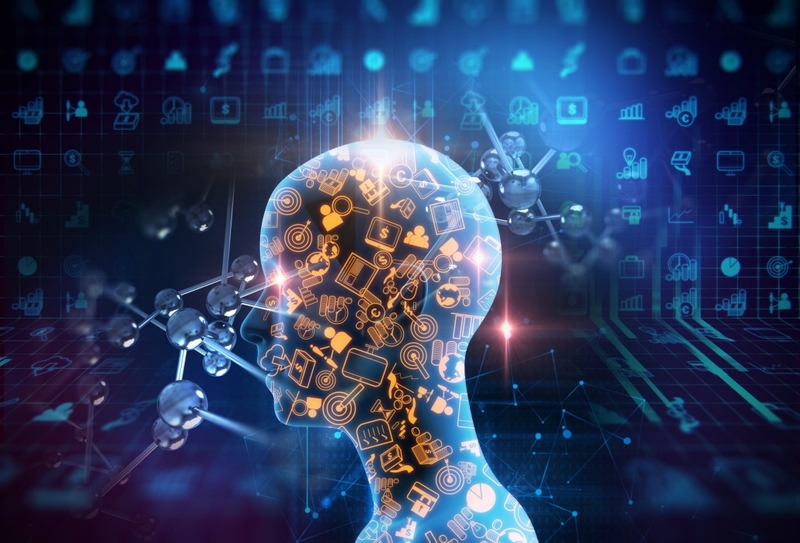 At the core of any AI system are the algorithms, complex mathematical constructs that can describe a behavior, a process, and create results for possible more algorithms. Both Germans and Chinese are pretty good at that. Further more AI is equally dependent (today) on neural network skills. A structure where lots of data get feed in, and spill out results or even directives to other algorithms. Decision making procedures are other skills AI need to employ to create meaningful results. All these skills can be found widely in Germany and Switzerland. Sooner or later all engineers will notice that no matter how much computing power they have it will never be enough. The game of GO is a great example. The number of possible moves from start to finish is said to exceed the number of atoms in the observable universe. Any AM (Autonomous Machine) will need to calculate its best result or step to a result based on the most probable right step, accepting it may not be the best. AMs need to be FAILURE TOLERANT. With that, an AI system actually gets closer to us humans. I’ve met AI researcher in Taiwan working especially on that part of the process. But here comes – by far – the most challenging part of AI development that is actually useful for people: What questions do we have to have an AM answer it profoundly and efficient. To make AMs do repeatable jobs like in a production company, or repeatably answer questions, even millions of different questions, from customers in a pre-sales department, or answer questions from patience regarding their possible illness. that is not so complicated. But to answer the question: “How can we help politicians, make the right decisions that are in the interest of the population – and – taking long term effects into consideration?”. Most of us do not (yet) have a firm answer. Most of us, including me can’t even articulate that question comprehensive enough for any system or human to trigger the right solution finding process. Now that is an area where Central Europeans, including Germans are actually pretty good at – maybe better than others. Artificial Intelligence is more about asking intelligent questions to get intelligent results that putting together fine technology. While I can continue with a few more aspects of meaningful requirements for a great AM solution, it became very apparent to me that technology keeps taking less and less a center stage position and other, social, psychological, behavioral aspects move rapidly forward. It also daunted on my that there will probably not be a single country doing it all or being the leader – it is a global development where the most open minded and smartest people can jointly produce unprecedented results. Brut force leadership by order of a human leader is most certainly failing – even with 10 billion people. But some of them will contribute amazing solutions to the whole. 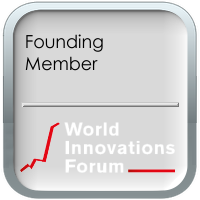 The World Innovations Forum put a leadership framework together to help all countries to get started and advance. Getting everybody involved makes a lot of sense when it comes to, what is said by some, the last innovation humans will do. Most importantly collaboratively developing and agreeing on a common set of rules will make this development much safer. But maybe we need an AI system to guide us through a process that may otherwise be too much driven by ego and self interest. The development of chat bots is evolving rapidly. From clunky little experiments a few years ago, we see great progress and probably have a highly sufficient “chat bot” by 2022 that is so strong and so versatile that it may replace more than 100 million call center employees with the only replacement of maybe a million people training and advancing those bots. By that time governments will have no other choice to tax the productivity of any AM no matter where those machines are hosted and no matter who owns them. The tax income then can be used to start the concept of a base income for those who won’t find work any soon. A whole taxation model will be available in the new book “World with no work“. By 2025 until 2028 we may be in a position that super advanced chat bots can replace many knowledge base systems including Medical Doctors, Lawyers, Bankers, Insurance Brokers, Inside sales people, cashiers and so forth. This may cause an even bigger avalanche of unemployment that my easily hit over half a billion people world wide. Only several million will be needed to review the medical suggestion, the investment advice etc. But will no longer need a time consuming deep dive. By 2030 robotics may have advance to be much more agile. My ultimate test for a robot would be: Successfully perform in three disciplines: 1) Successfully play soccer in one of the top leagues. 2) Climb Eiger North Face or any similar mountain and return safely to base camp. 3) Dance tango with one of the world class dancers (it takes two to tango). “It takes two to tango” has an inhered interesting aspect: unlike most dances, Tango is lead by both dancers with an unspoken intuition. That will kick start another avalanche of AMs performing tasks that have been conducted by well educated humans. With a constantly improved UBI (Unconditional Base Income) by now it becomes actually a desire to replace as many human jobs as possible and give humans the freedom to pick and chose activities they really love and be so good and social in it that there is no advantage to have robots. There is no advantage to mass produce robots that produce art better than humans can do. Art has no better or worst – Art is a human expression not a robotic mass produced expression, even if every piece would be individual. By 2040 or 2050, humans will rationalize that during the time of the industrialization, they lost their autonomy. No job – no happy live. If you can’t get into a company where somebody is telling you what to do, you won’t get the reward in cash that you need to survive. Or if you do not perform what is expected from you, you get fired. Not today – but in 100 years we will compare that life with modern slavery. How could it be that you – a free person – has only a few hours a day actually free. At least, unlike in the 1800’s you no longer get beaten up or cut off your hand, but still you call it yourself treadmill, you are very happy if it is 5 pm, you look forward to vacation, you have no or not enough time to do what you really would love to do, you may not even have your dream job, you can’t follow your intuition but the job rules and so forth. However exactly that ‘YOU’, is the one who helped build a world that eventually transform to a much more liberal life, less dangerous tasks and way more pleasant. So nobody following the rules today is/was stupid. But look for the possible outcome in 30 years from now. Learn everything possible including risks and opportunities about AI and AM and only if you can make an educated decision, judge it – as an hopefully autonomous human. https://wiforum.org/wp-content/uploads/postheader-whats-next.jpg 1629 2400 AxelS https://wiforum.org/wp-content/uploads/wiforum-logo-main-grey-250-1.png AxelS2018-10-19 15:35:432018-10-19 15:39:46Autonomous Machines - where are we today? Who may advance the most? AI Leadership Framework For Countries Is AI the last invention humans will do?